← CONGRATULATIONS #RRBC SHERILYN POWERS!! Today I would like to welcome Jan Hawke. 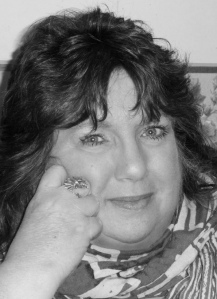 She is the newest Spotlight Author and is gracing my site with her presence. I cannot think of a more supportive person to receive this honor. And now Jan take it away!! For fantasy writers, words are ultra-important as you need to use them carefully to ‘paint’ a world that may be totally different in form and function than planet Earth. World-building is the usual term for this process, but there are many aspects you need to take into account, as you put on the shades and hues of your brave new world. 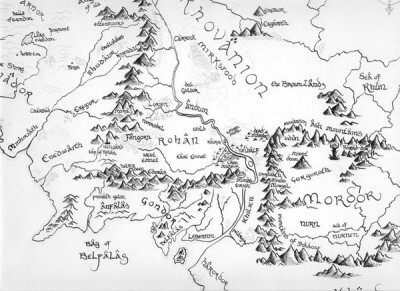 For my author heroes, Tolkien and Pratchett, maps of where their action was taking place were essential in picturing how landscapes looked, and even the cultural demands of the people encountered. 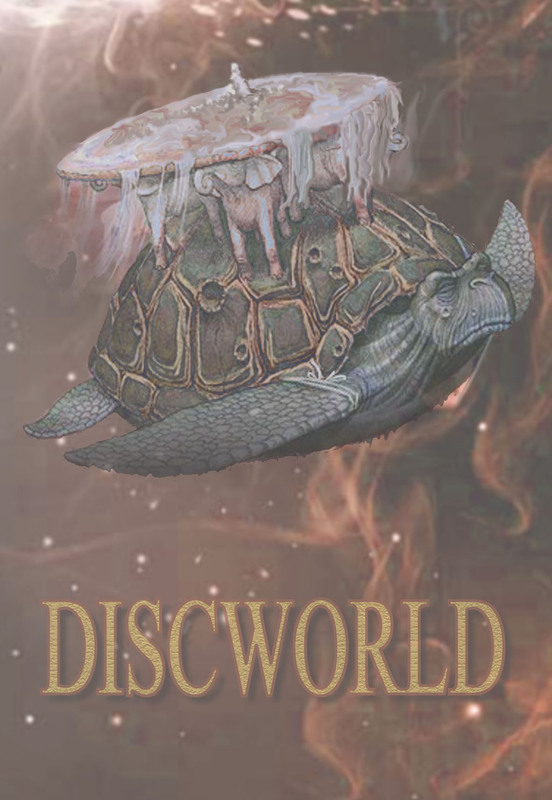 Pratchett’s Discworld is the most extreme example of needing a firm hand with geography and astral-physics, and even the seasons, on a ‘flat’ world that is held up by four gigantic elephants, standing atop a Star Turtle. 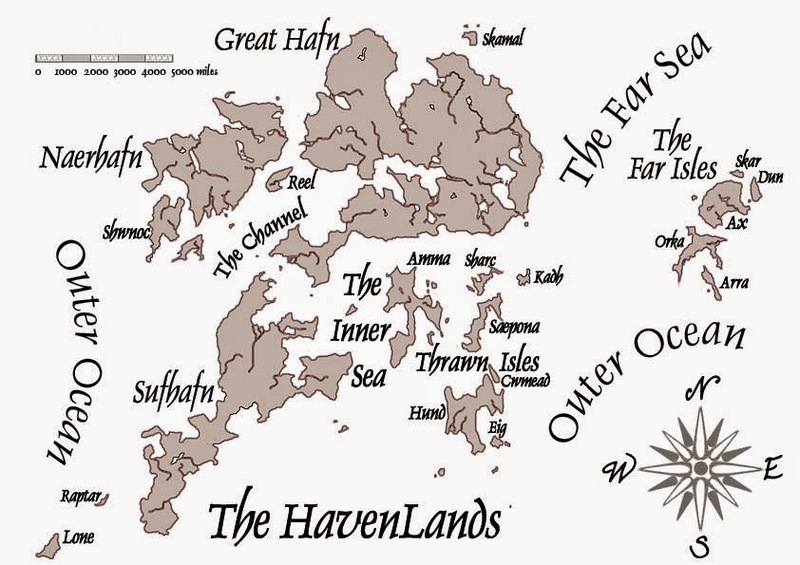 He got the idea from Hindu mythology of course, but it illustrates the point that a good map, or at the very least, a vague visual, works wonders when it comes to describing fantasy terrains. Tolkien on the other hand, although originally opting for a flat Middle Earth, eventually decided to go global because his tales were based on an alternative reality of good old planet Earth. This supported the ‘marring’ of Arda, with the deified Ainur whisking the chosen Elves out of Middle Earth and into the West, where the mortal races could not follow. 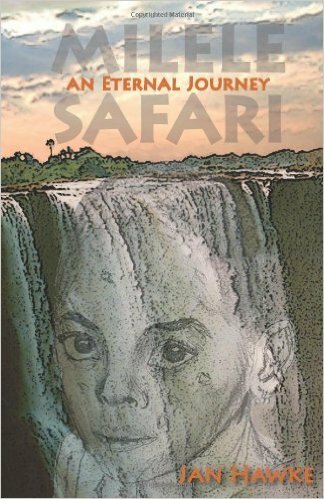 As a member of Rave Reviews Book Club I get the opportunity to host guest like Jan Hawke on my blog. This give us double exposure…a Pay It Forward Affect. We learn to propel, support and promote each other and support is equally rewarded. If you want a little spotlight or want to market your work head on over to the “Join/Renew” tab and sign up. Just tell them that reading this post or viewing her entire tour was the motivating factor. This entry was posted in Spotlight Authors and tagged Cori Celesti, deified Ainur, Dunmanifestin, JAN HAWKE, marring’ of Arda, Milele Safari, Pratchett’s Discworld, SPOTLIGHT AUTHOR, Tolkien and Pratchett, Tomes of the HavenLands. Bookmark the permalink. I wish to thank and acknowledge everyone who supported Jan on this site. I know I didn’t reply back to each of you but I read your comments and want you to know how much it is appreciated and valued. And I know Jan is appreciative as well. Have a wonderful day! Thanks for this instructive description of world building, Jan. This new project looks like it will be fun to write and entertaining to read! Thanks for hosting, Shirley! More abut Jan Hawke’s writing and about world-building, Tolkien, Terry Pratchett and Ursula LeGuin. Lovely stuff! What a great crowd here today! Some of the all-time faves in the support department! Thank you all for stopping by supporting Jan. And Jan, I must warn you, that I’m about to challenge myself and write a Fantasy short story. (Someone has said that “I can’t do it!”) Ha! There is absolutely nothing I can’t do, right? So, get ready. I can’t promise that it will make any sense, or that it will be readable, but I promise you this…I can write it! Stay tuned! Nonnie it seems that the point of fantasy is not to make any sense. It seems that you are deliberately being misled and that thought should make it easier to transition into it. I’ve thought about doing it myself. Watch out fantasy world!! Jan thanks for the history lesson. I do recall learning from English literature classics in high school. Actually some English pioneers arrived in America trying to escape the monarchy and brought the culture here. We do speak English after all. Britain’s influence is widespread. Even Canada was under the reign of the Queen/King. I’m not sure if it still is as I don’t follow Canada all that closely now. I used to travel there all the time to see my boyfriend because it was just across the bridge from Detroit. Your Fantasy world sounds interesting. Good luck with it Jan. Thanks Shirley for hosting. Excellent points, Jan. Best wishes. I can’t imagine trying to create an entire world, Jan. It must be a lot of fun! I never considered the detail and intricacies–and additional preparation–required for writing fantasy! Great post, Jan! Thanks for hosting, Shirley! I love your fantasy world Jan, especially how you can visually represent it. When I write fantasy, I see my work too, but I have never tried to represent them visually. It is a lesson worth learning. :). Beautiful post! Thank you Shirley for hosting her. Thanks Joy for visiting and supporting Jan on her interesting tour. Welcome Jan and everyone else. Sorry I’m late responding but I was asleep when the blog posted and I know there is a big time difference between the UK and the US. Jan it was all I could do to keep this to myself. I was so excited to host you because you have become so special to me. Surprise and congratulations on winning the Spotlight. Your new series sounds intriguing! Looking forward to it. Great post Shirley. Tolkien was one on my favourite authors when I was at school. The books inspired my love of reading and writing and I can’t wait to read your new fantasy series too, Jan.
Jan & Lizzie I’m afraid we had different fantasies growing up but its fascinating learning what other cultures are learning. I was reading this post and didn’t understand some of the words but I knew it had to be fantasy because that’s what you write about. Its all very interesting. English (and American Literature) are such broad subjects these days Shirley. In the UK Tolkien was a world expert on Old and Middle English (so Anglo-Saxon) and one his most famous academic essay in the 1930’s was Beowulf: The Monsters and the Critics which turned the appreciation of the Saga form on its head and led to a resurgence of interest in pre-English languages. He was also a huge fan of Arthurian legend some of which he ‘borrowed’ for Lord of the Rings and The Hobbit. I like your future project, Jan. I try to stay speculative, but bounce pretty broadly within that area. I love trying something new. Looks like I’m not alone there.